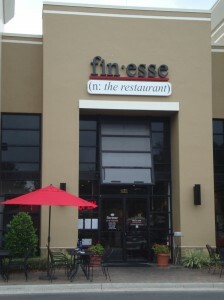 Finesse was our first stop during our Tour de Brunch in Sanford and Lake Mary. And this one will indeed be hard to top! 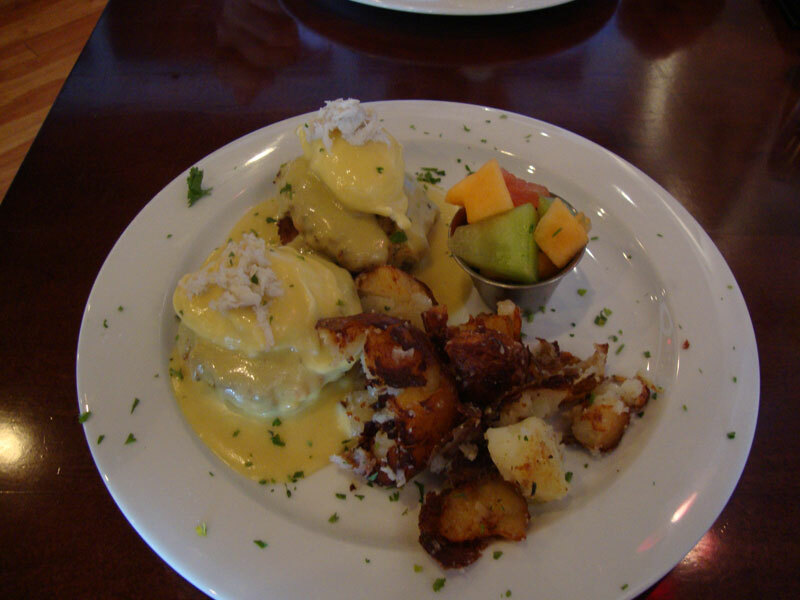 Those Crab Eggs Benedict, oh my!! 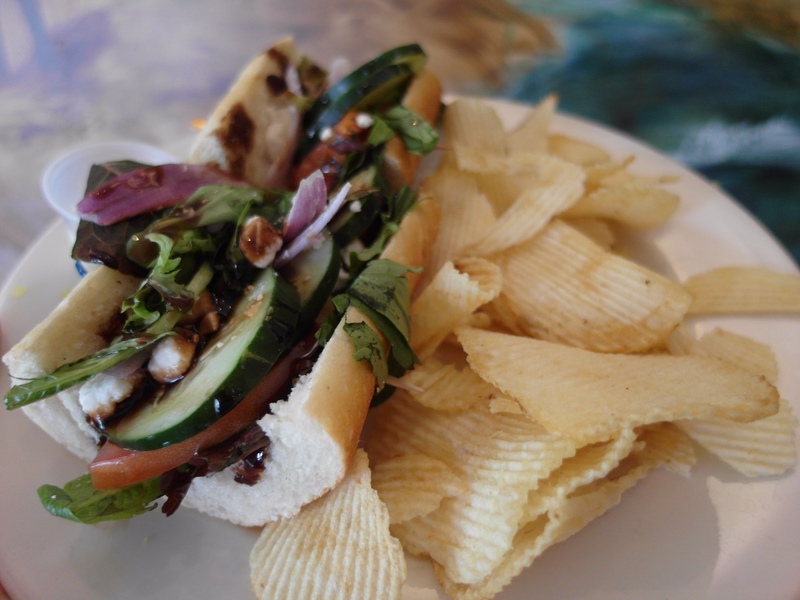 Highly recommended by our very friendly waitress this Finesse favorite does not disappoint! After going through the menu about 27 times (they have great selections, so this number is totally real…), we finally ordered our brunch items. Jose and I both ordered the same (again!). I know, we are that lame, but it just seems that every time I order something different from what I initially wanted, just to offer more variety on our table, I end up choosing the “wrong” dish. So this time I stuck to Crab Eggs Benedict, and as mentioned above, I was in “brunch heaven”. Thank you Finesse! 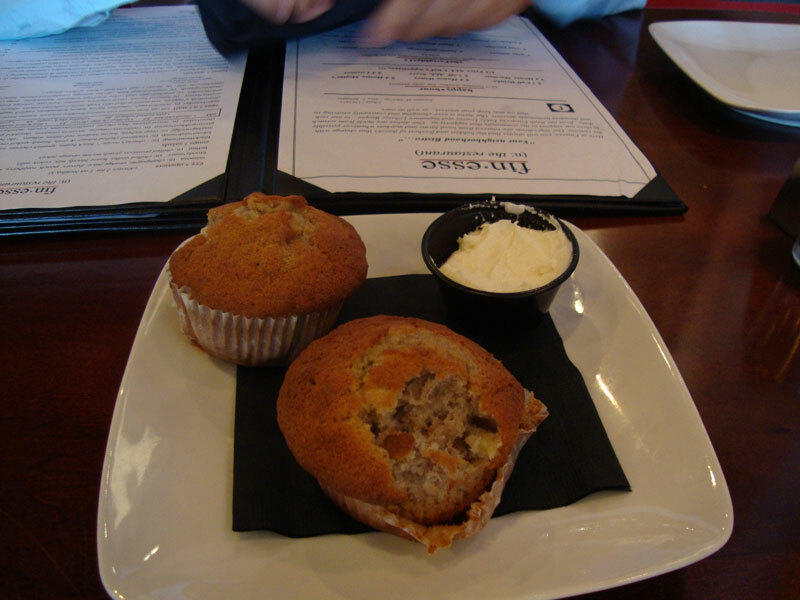 Before the meal we enjoyed some delicious muffins (still warm) on the house. Luckily I snapped a picture before we dug in completely – excuse the little bite I took, they looked just too yummy! Our second brunch item, aka “brunch dessert” or “brunch endspurt” to put it in context of the Tour de Brunch, didn’t survive long enough to be photographed… I guess we will have to come back to have those Banana Foster Pancakes so I can take a picture (of course, only for that reason!). 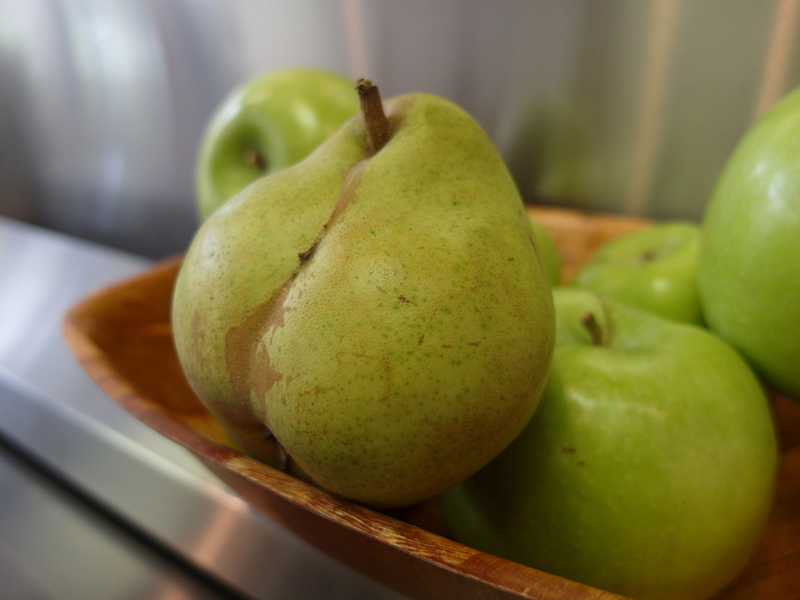 Needless to say, they were very delicious! It got quite busy towards the end, and I’m glad to see that. 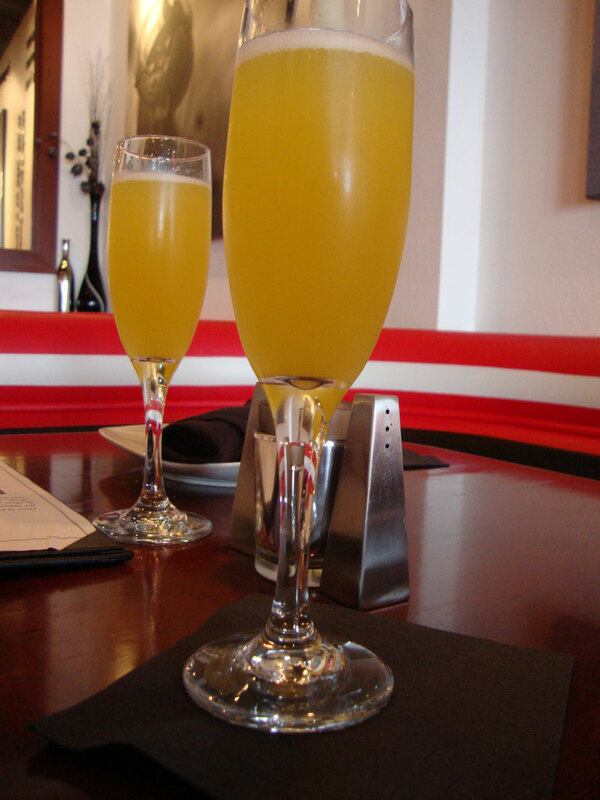 I guess the secret’s out: Finesse is a great place for brunch! 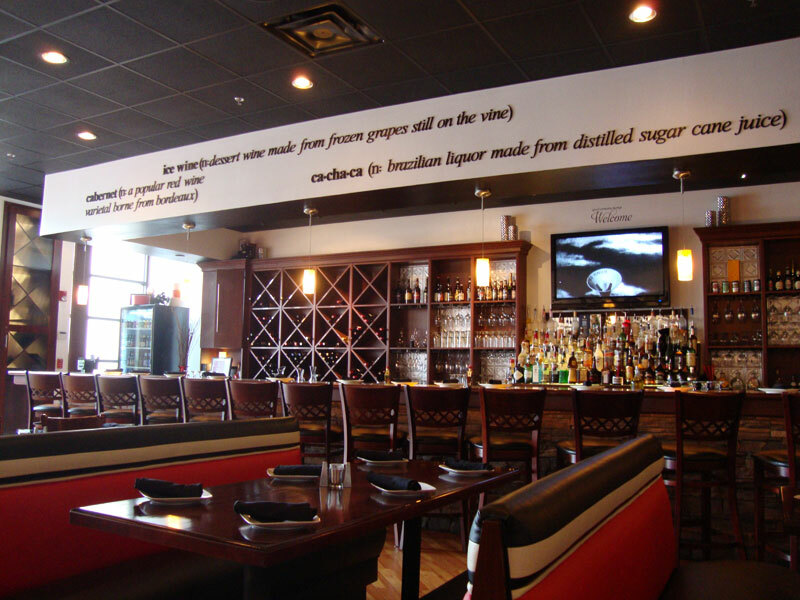 Here are some pictures of the restaurant decor which makes Finesse a very stylish place. 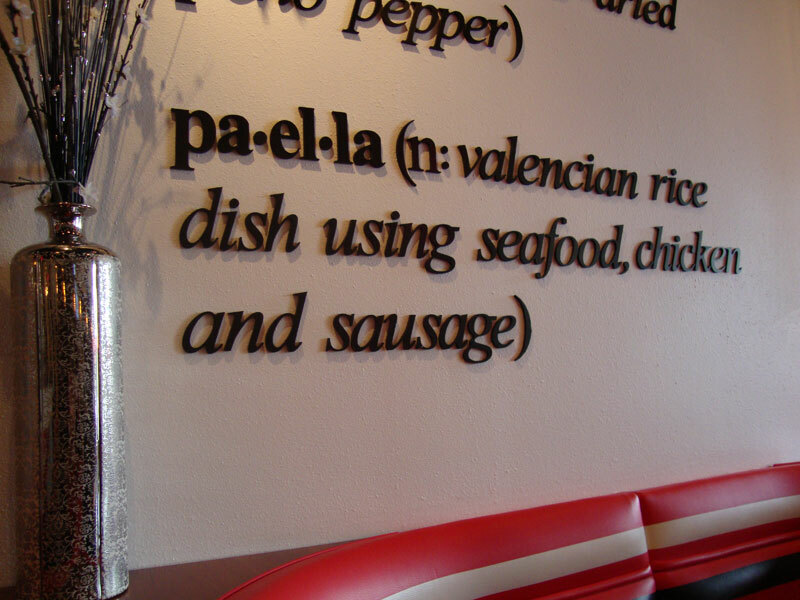 In fact, I am totally loving the idea of defining culinary terms and this wall art is very interesting to look at typographically. 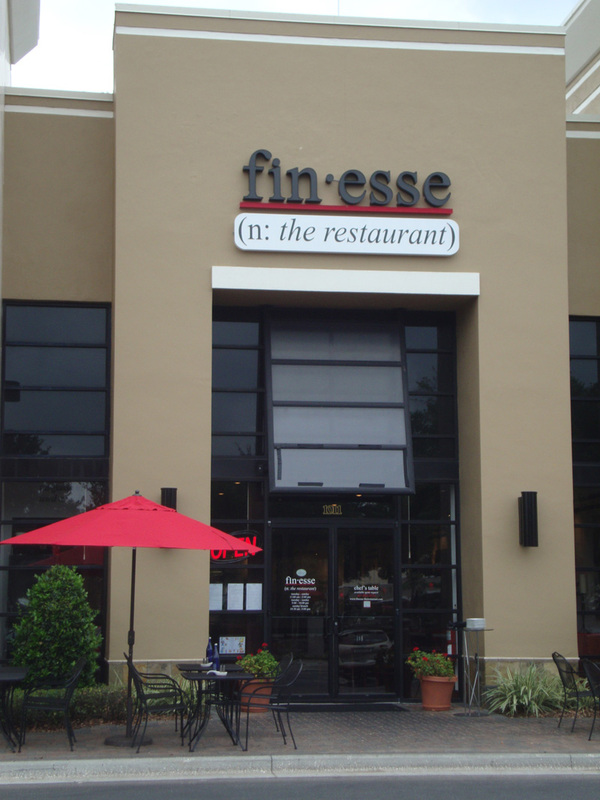 I can also highly recommend Finesse for dinner. 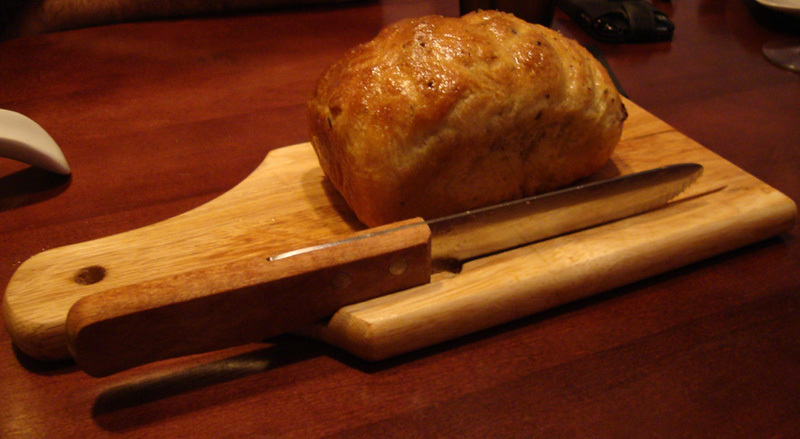 Below are some pictures of our great dinner experience here. Starting with the fresh baked foccacia to the ridiculously delicious chocolate oranje molten cake (order 20 minutes in advance!) as dessert, we were very pleased! 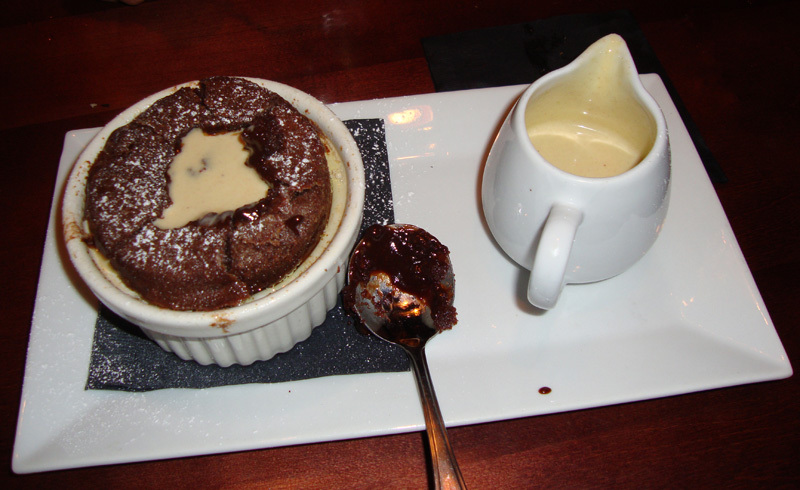 Let me explain real quick what this truly decadent dessert is all about: Ghirardelli chocolate with a ganache center and a peanut butter anglaise that is poured into the center after the cake is served. 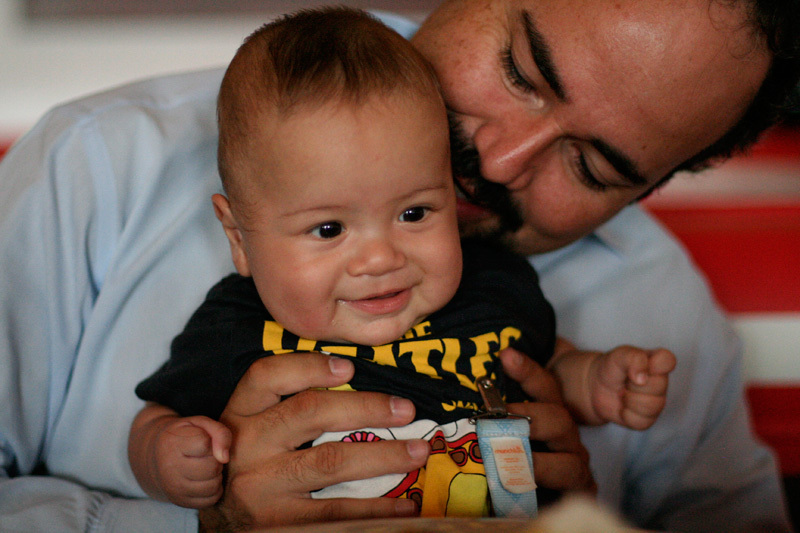 Be sure to leave some room for this special treat – I was glad I did! Oh, and did I mention that the presentation of the food at Finesse is also excellent? Makes eating even more fun! 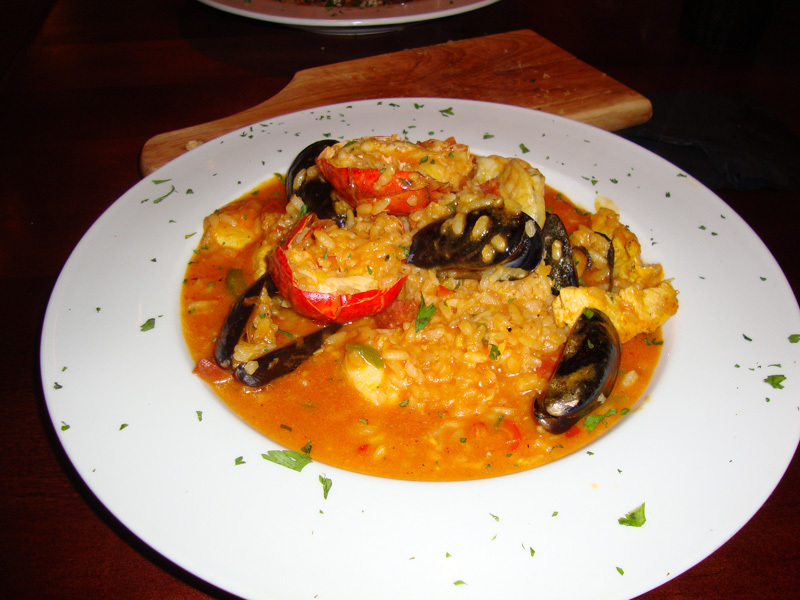 My Paella Risotto was delicious. 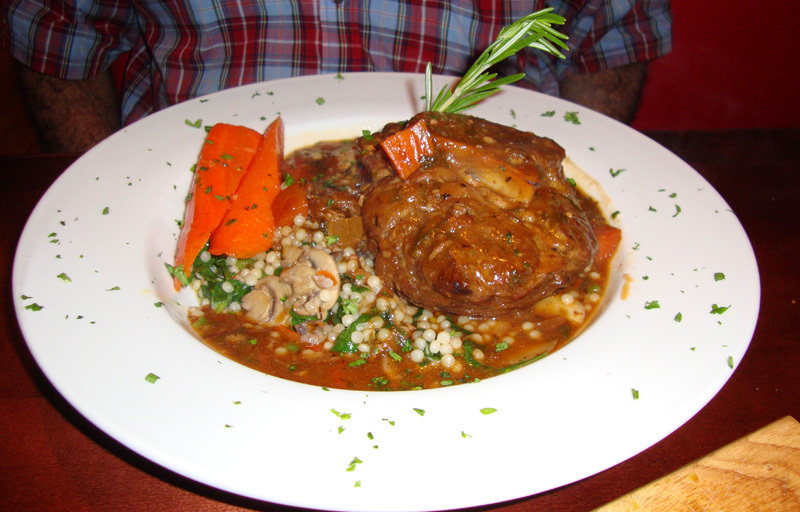 Jose had the special of the day, Ossobuco. 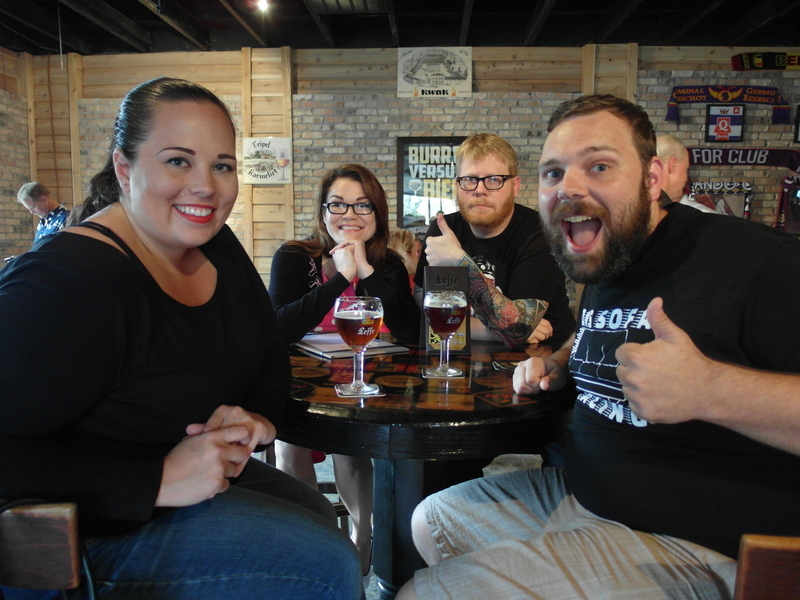 He generously let me try some, and it was outstanding! 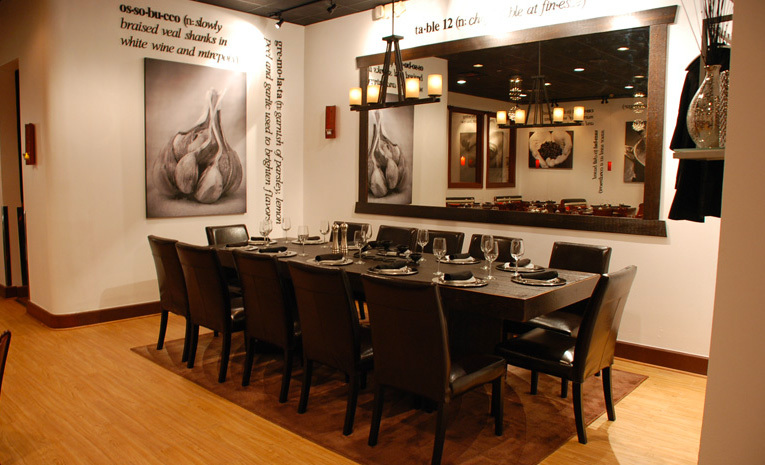 My Tip: If you are planning a special dinner in the near future, consider reserving the “Chef’s Table” at Finesse. It is a beautiful large table that seats 12 guests. The setting is magnificent – while we were dining there was a party celebrating a 40th birthday and it really looked almost as if their dinner was taking place in the host’s very stylish dining room. Here is a picture of this special table, taken from the Finesse Website. 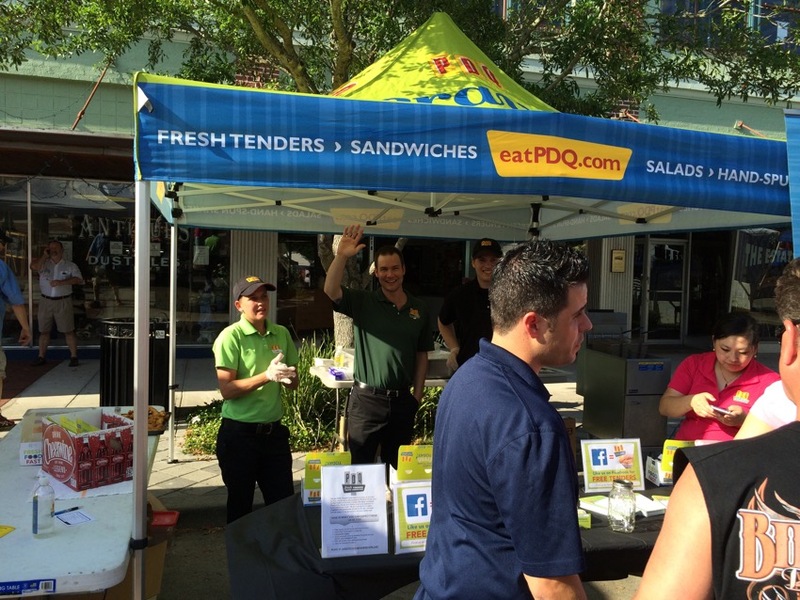 Enter to Win a Sneak Peek of PDQ Sanford!